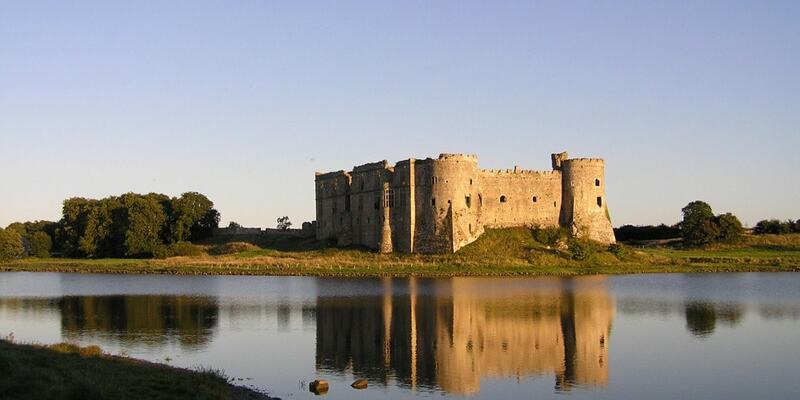 The famous Carew family take their name from the place, and still own the castle, although it is leased to the Pembrokeshire Coast National Park, which administers the site. 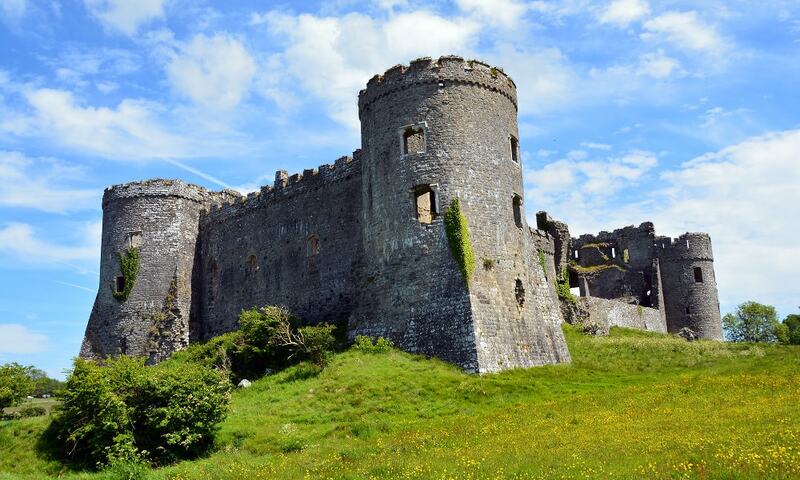 The present castle, which replaced an earlier stone keep, is constructed almost entirely from the local Carboniferous limestone, except for some of the Tudor architectural features such as window frames, which are made from imported Cotswold stone. Carew Mill is the only intact tidal mill in Wales and one of only four in Britain. Although no longer working, all the mill machinery is still intact.